Summer 2013 heats up for Robert Sierra with featured festival performances in Chicago — including a world premiere! 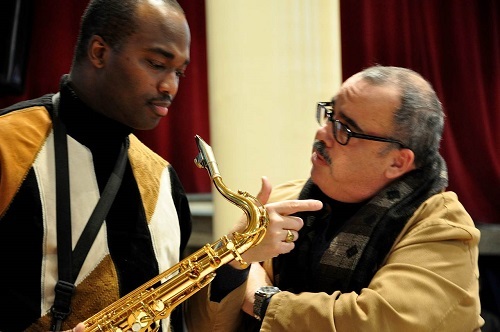 On August 7, the Grant Park Music Festival offers Sierra’s Concerto for Saxophones and Orchestra to its Chicago-area audience in a concert showcasing famed soloist James Carter, conducted by Carlos Kalmar. 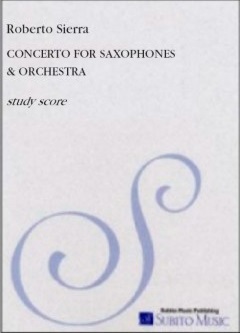 Originally commissioned by the Detroit Symphony for Carter, Sierra’s 23-minute score blends classical and jazz elements, and highlights Carter’s virtuosity on both the soprano and tenor saxophones. The Detroit Symphony premiered the work in 2002 conducted by its then-music director Neeme Järvi, and reprised it the following season. Carter subsequently recorded the work (paired with Sierra’s critically acclaimed Caribbean Rhapsody) with Giancarlo Guerrero leading the Sinfonia Varsovia, and the recording was released on the Universal Music Group’s EMARCY label. August 12 brings the Ravinia Festival’s world premiere of Sierra’s new song cycle Decimas, which was commissioned to celebrate the 25th anniversary of Ravinia’s Steans Music Institute. Ravinia President and CEO Welz Kauffman shares, “Kevin Murphy, the director of our program for singers, and I separately set out to make lists of working composers who could at once celebrate a specific moment and yet create a timeless piece. Amazingly enough when we compared lists, we had both generated the same names. We both said Roberto Sierra, and like a kid, I almost shouted ‘jinx.’ Our instincts paid off. Instead of contributing one song as tasked, Roberto delivered a song cycle that poetically traces life from dawn through death. He’s an old-soul composer who fuses different times and cultures, and we’re excited for the world premiere of his Ravinia commission.” Other August performances include Songs of the Diaspora at the Michigan City Chamber Music Festival on the 14th, and “The Phoenix” [Movement V from CarnavaI] played by the Orquesta Sinfónica del Estado de México on the 23rd in Santiago, Chile. More summer Sierra – this time in July: On the 7th, Giancarlo Guerrero conducts the Philadelphia Orchestra in a performance of Sinfonia No. 4 at the Bravo!Vail Festival in Colorado. The 13th brings another concert featuring the ever-popular Fandangos, performed by the Music Academy of the West Festival Orchestra led by Leonard Slatkin. The composer’s Violin Sonata will be featured at the Bowdoin International Music Festival (ME) on July 29. 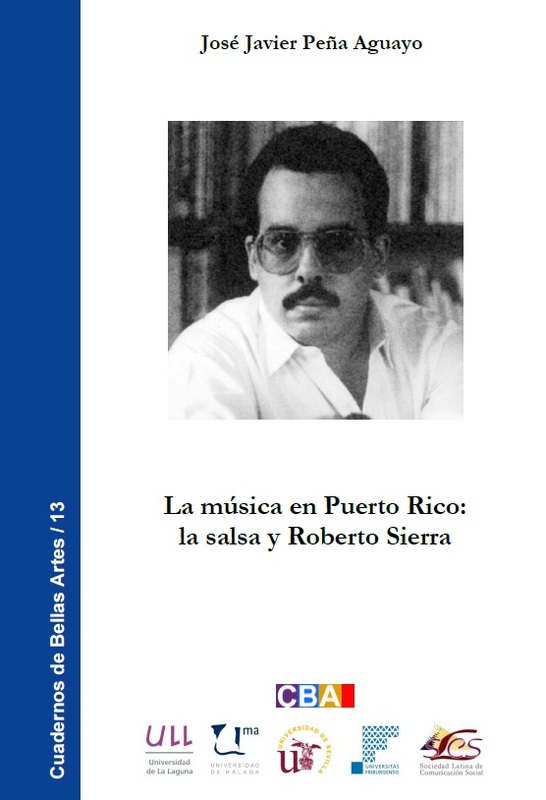 Other news: The Spanish publishing house Cuadernos de Bellas Artes has just released a new book about the composer – La música en Puerto Rico: la salsa y Roberto Sierra (The Music of Puerto Rico: Salsa and Roberto Sierra). Written by José Javier Peña Aguayo, the book is available in both print and digital versions. For more information, visit Cuadernos de Bellas Artes.